The Show is Running on 24th Feb, 19 also: Click Here to book now!! 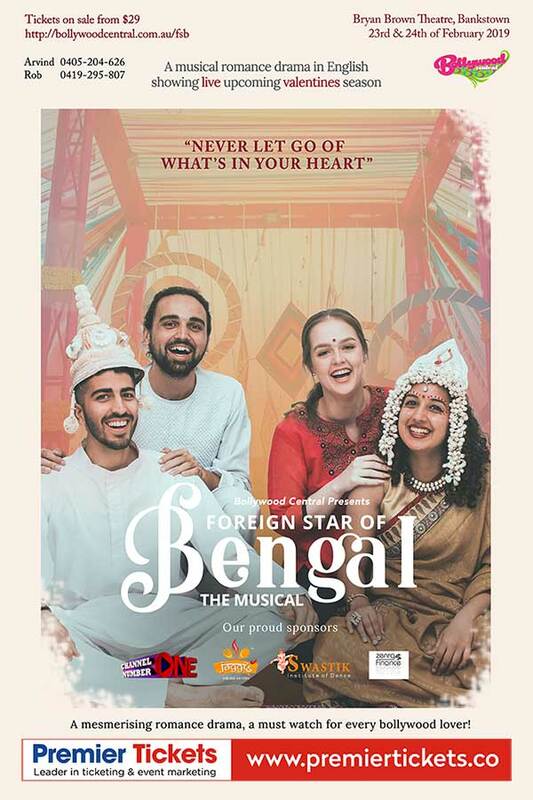 Foreign Star of Bengal is a stage musical inspired by a true story set in Calcutta during the 60′s. A love story following an Armenian girl and a Bengali boy who fell in love four decades ago. It depicts the cultural diversity and lives of individuals from two very different backgrounds. Performed in English this is a story that embodies a tale of love and courage, intertwined with music, dance and drama with range of musical flashbacks that you will be thrilled to watch this valentines season. India food available to purchase - $10 meals before and after the show.